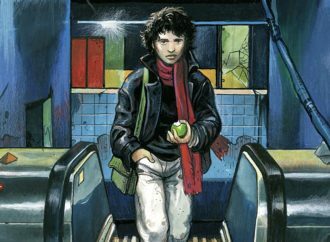 Book Beat: the latest news in publishing for the week of March 31, 2019, which includes Hugo Award finalists, the Bologna Book Fair, and literary vending machines! The Hugo Awards finalists were announced this Tuesday and they have people talking! I would be happy to see any of these titles win, though some personal favourites are Record of a Spaceborn Few and Space Opera. 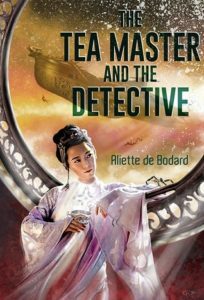 No big surprises in the novella category where Tor.com dominates with five of the six nominations, but it is very exciting to see The Tea Master and the Detective from Subterranean Press make the list! 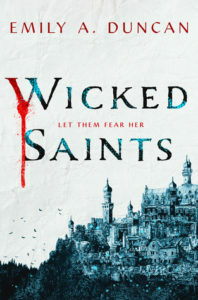 If you haven’t had a chance to read this yet, put it on the top of your TBR immediately Perhaps the biggest surprise from the list of the finalists, however, was in the Best Related Works category where Archive of Your Own is nominated. In case you’re not familiar with the site, Archive of Your Own (AO3), is a community website, where people can share their fanfiction and other fanworks. Started in 2009, it is now home to 4.5 million works from over 31,000 fandoms. It’s great to see fanfiction promoted and accepted on such a big stage but it’s also fantastic to see the hard working developers who created and maintain such a large site (many of whom are women) get some well-deserved recognition as well. The 56th annual Bologna Children’s Book Fair also kicked off this week, with industry professionals gathering to discuss trends and technology, make new connections and find out everything happening in children’s literature. According to Publishers Weekly, a large focus this year is on “empowering stories” with girl-centric stories and those with feminist themes particularly popular. The We Need Diverse Books movements is also being pushed from publishers around the globe. It’s encouraging to see these efforts having an (overdue) impact on the industry. The only downside is since publishing is such a slow business we’re many months (or years) away from actually seeing some of these “empowering stories” in print. I’m heading to the U.K. later this spring for a short vacation and while researching things to do I came across these new short story vending machines. The first of the machines were installed at Canary Warf this week. Passerbys will be able to easily access free one, three of five-minute stories from various genres including, but not limited to, sci-fi, romance and children’s fiction, and mysteries. If you’re in the London area, you can check the machines out with their first story, a specially commissioned one-minute tale from bestselling novelist Anthony Horowitz. I can’t wait to check them out for myself later this year!